What happens when you have a huge highway project to get done on a tight timeline and budget? Well, if you’re Denmark, you use building information modeling (BIM). 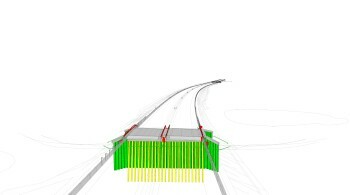 In the particular case of the Holstebro motorway project, the Danish Road Directorate (DRD) elected to use BIM software and workflows to build its brand-new 24.2-mile highway. The Holstebro motorway is quite the task for anyone to take on. The massive design-build project (which had a budget of about $580 million) isn’t just a highway: it has many other aspects of infrastructure to consider. With a bill this big to fill, traditional design and construction methods weren’t going to be practical. In order to keep things moving along, the DRD decided to try something new. The Directorate, which is responsible for state-owned roads in Denmark, implemented the use of BIM software and workflows in order to create a collaborative environment. This way, everyone—even those without individual licensing for the modeling and design software—could still access and participate in the entire process. The project incorporated a suite of software from Bentley Systems, including MicroStation, Navigator, Descartes, OpenRoads MXROAD and PowerCivil. This combination allowed for a digital workflow in which the various disciplines involved in the project could share data and establish a sustainable solution—which could theoretically be adopted into future projects, as well. 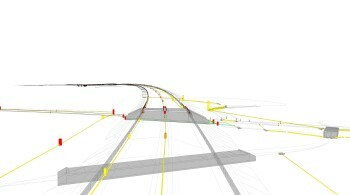 The Holstebro motorway became a proving ground of sorts for the use of BIM for Denmark’s public projects. As part of the DRD’s digital construction initiative, the hope is that the project will set the stage for introducing collaboration into the Danish infrastructure industry. This includes improving adoption of 3D modeling, digital design and automated machine control. Considering that these objectives are at the core of BIM software, it looks like the DRD is making the right choice for its nation’s highway infrastructure. For more information about the project, check it out on the Danish Road Directorate’s website. Follow Erin Green on Twitter.